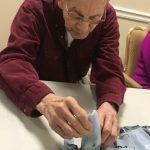 Ditch the needle and thread! 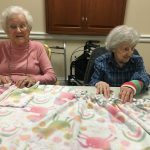 Last week’s installment of Diana’s Watermark University course called “DIY Gifts” involved having fun with fleece… no sewing necessary! 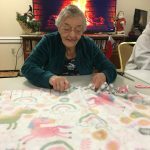 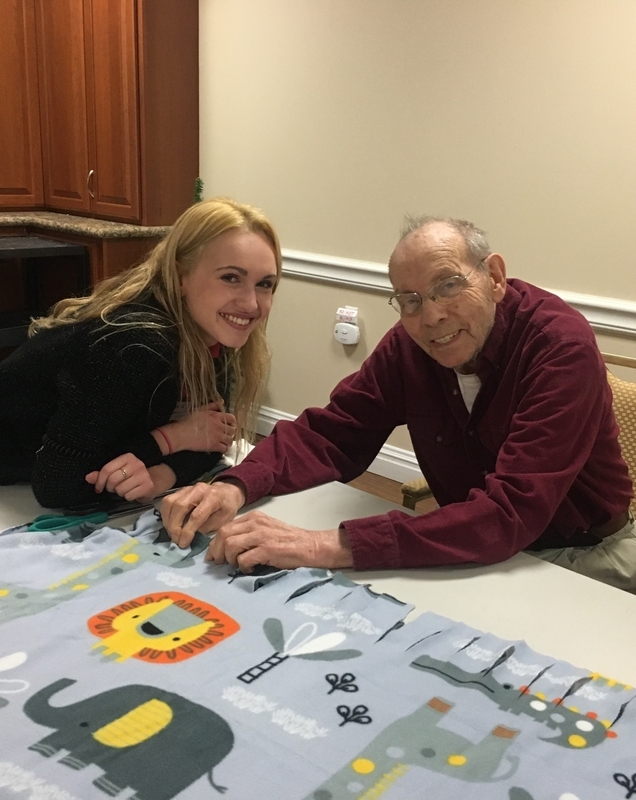 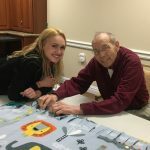 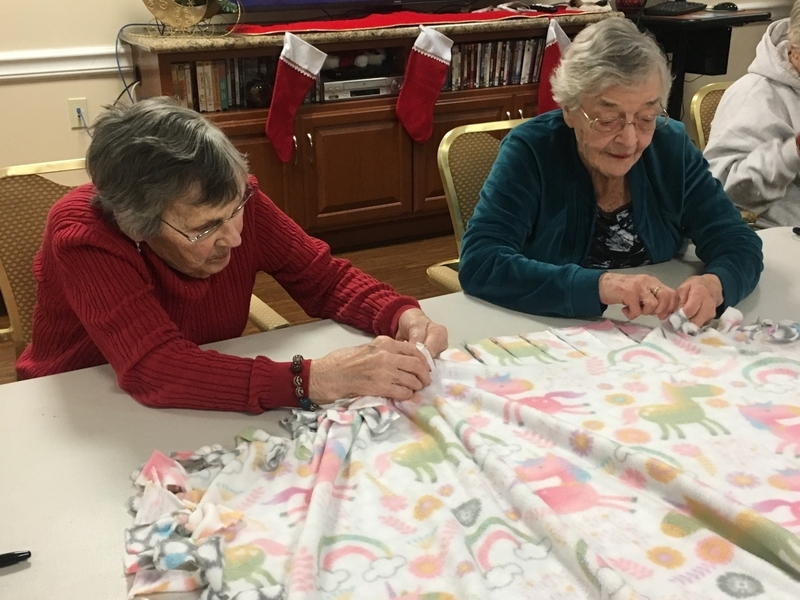 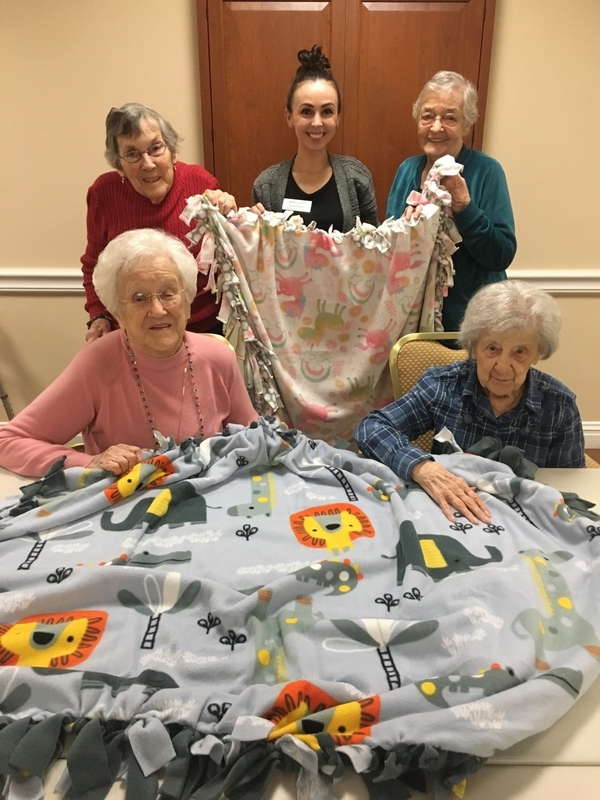 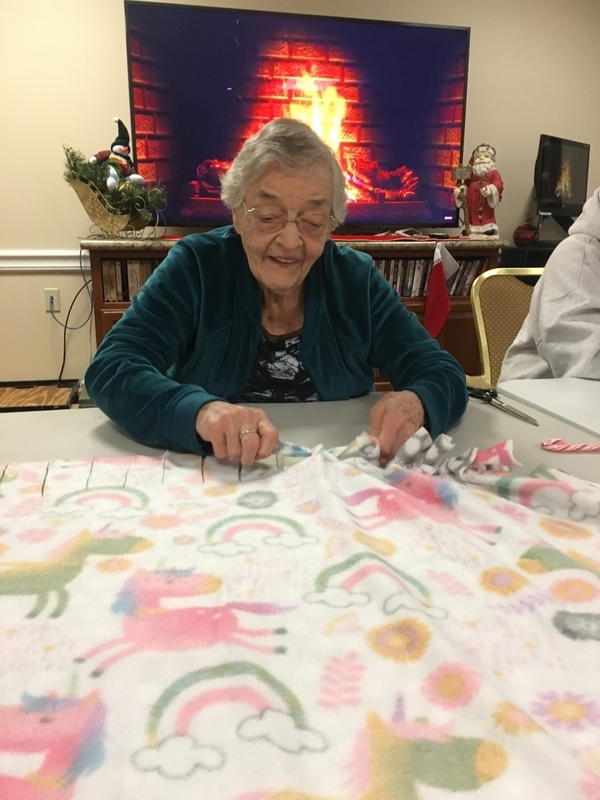 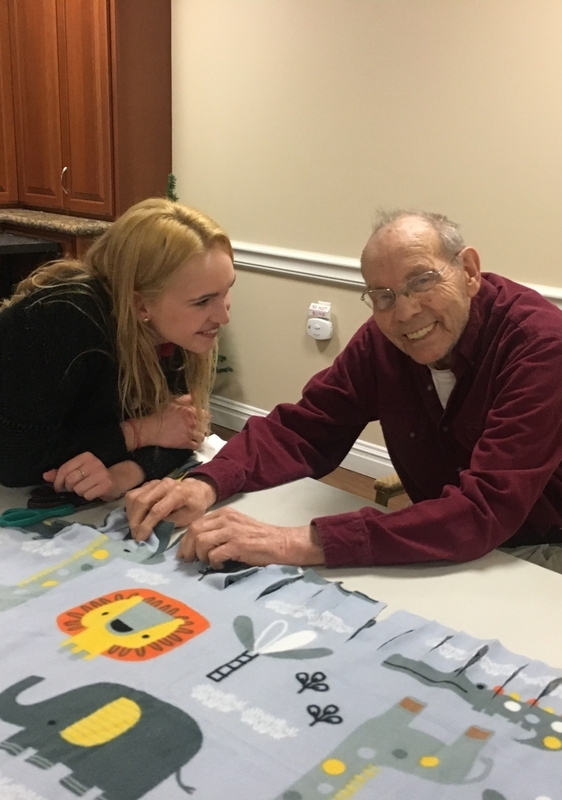 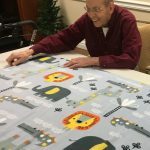 Residents gathered around the table to assist in making two colorful blankets that will be donated to children in need this holiday season. 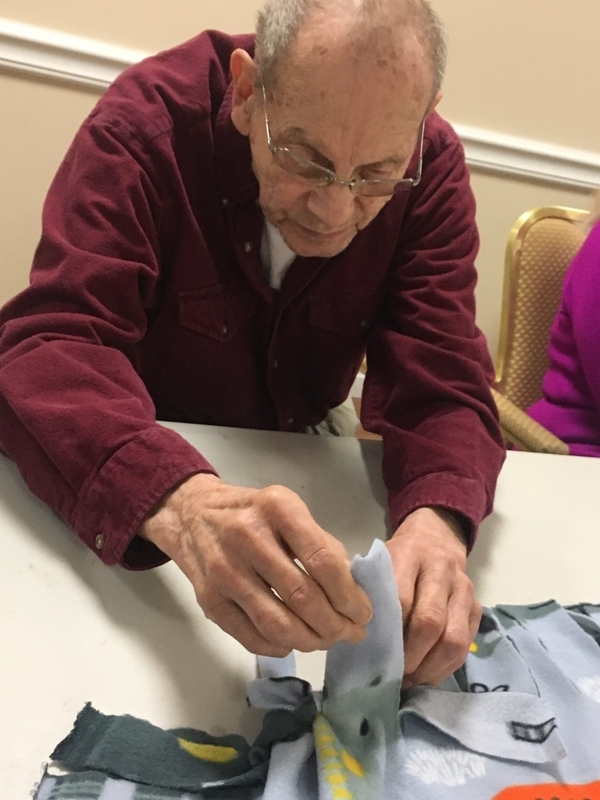 Most of the class participants had never heard of this style of crafting, and they were delighted once they saw just how easy it was to make! 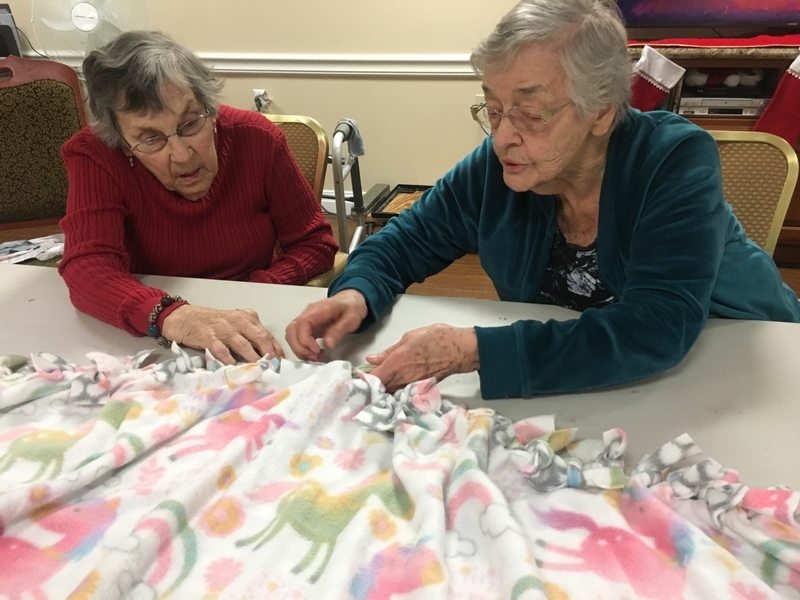 First, we took two different colored sheets of fleece fabric and laid them directly on top of each other. 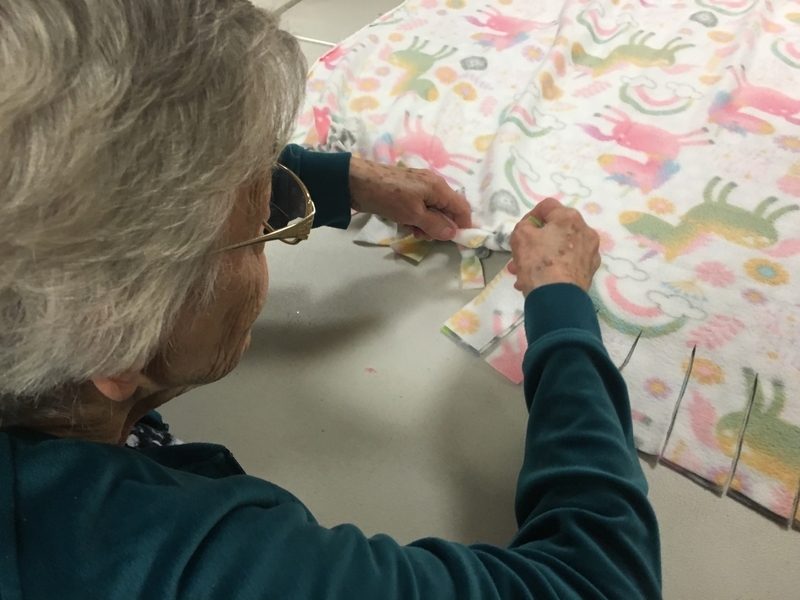 Everyone reached to spread out the fabric, eliminating any folds and wrinkles from our workspace. 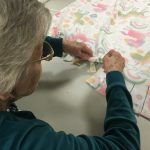 Next, we measured and cut a 5-inch by 5-inch square from all four corners of the fabric. 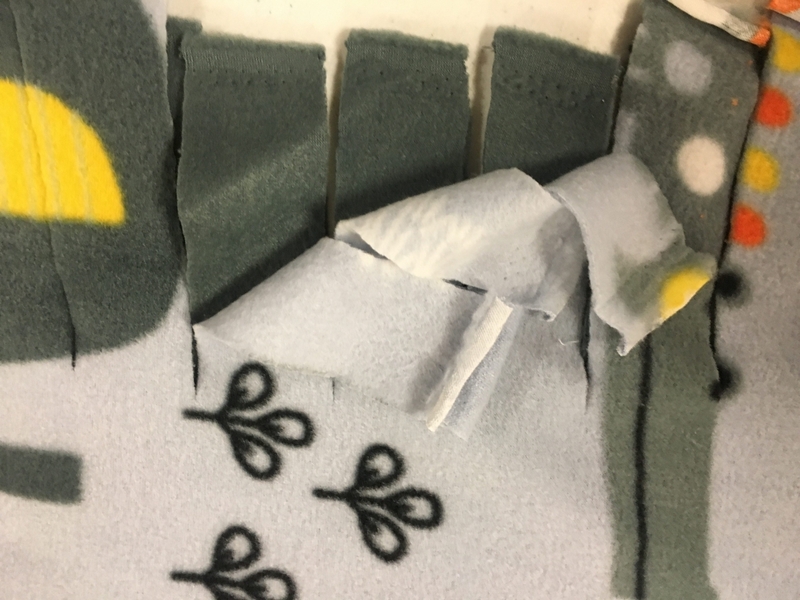 We then cut both fabrics simultaneously into strips about 1-inch wide. 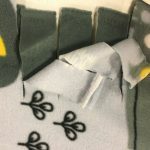 Once the fringe strips had been cut around all four sides, it was time to start tying lots of knots! 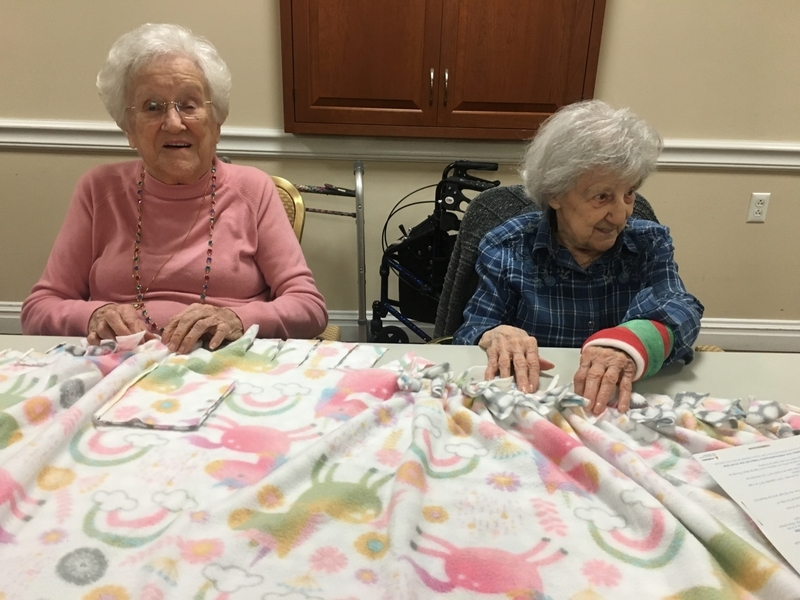 Everyone worked as a team to tie two tight knots using the top layer of fabric and the bottom layer of fabric. 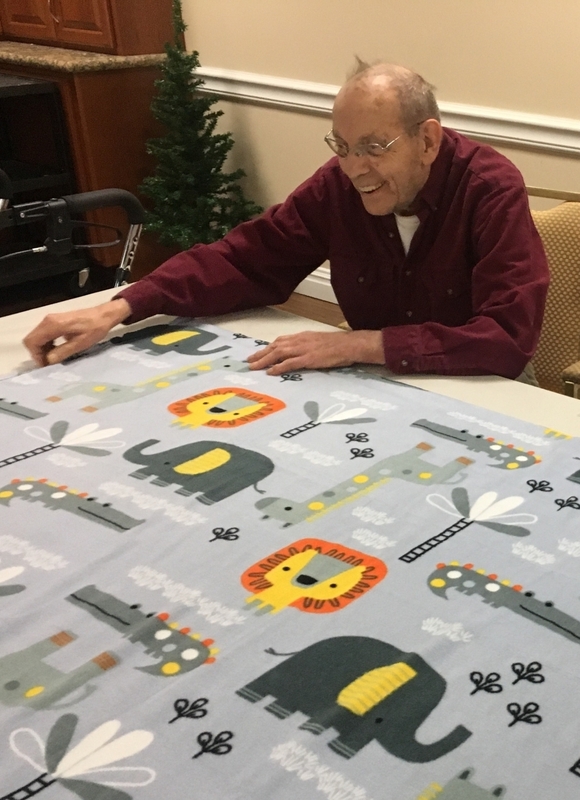 Not only is this a fun craft, but it’s also a great exercise for fine-motor skills and hand-eye coordination! 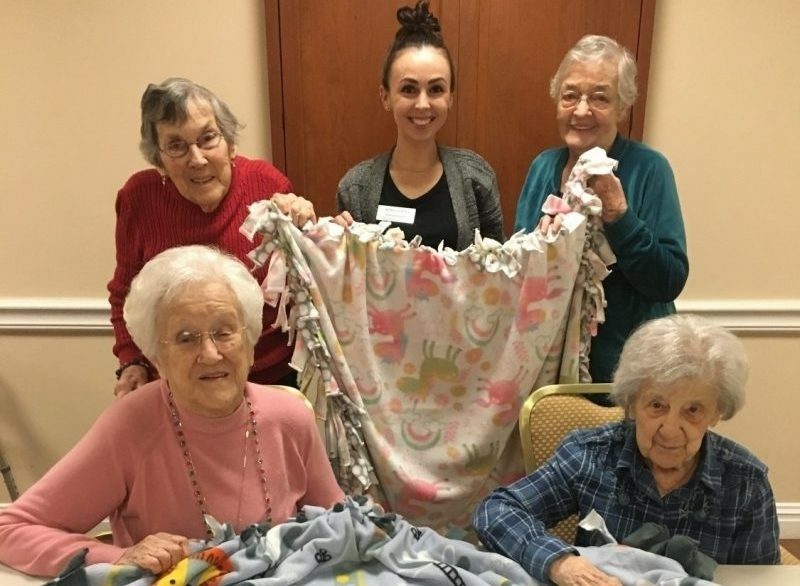 With the help of all of the class participants, we were able to finish two blankets in under an hour! 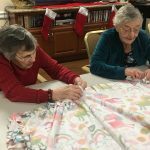 We joked that we felt like Santa’s elves in his workshop, as we all worked diligently while listening to festive Christmas music. 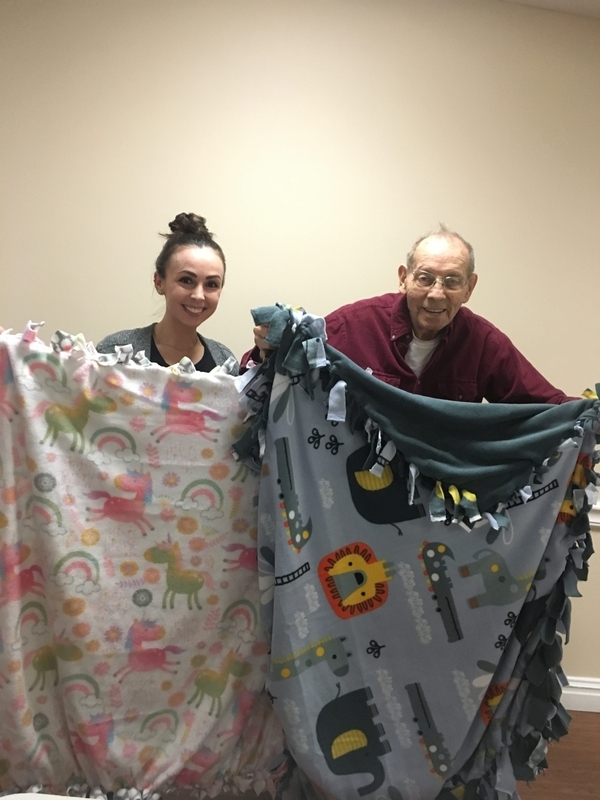 The blankets will be donated to children in need for the holidays, which made the residents even more proud of their accomplished work! 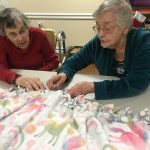 Since the class was such a big hit, Community Life plans on holding this program as a monthly Watermark University course in the upcoming Spring semester. 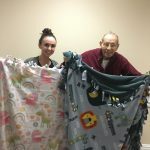 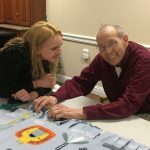 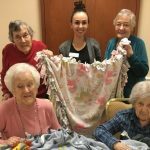 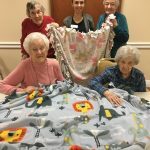 Be sure to keep your eye out for “Fun with Fleece” in your next course catalog if you’d like to learn how to create simple handcrafted lap-blankets, pillowcases, scarves, and more!